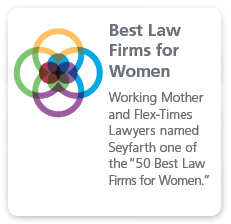 For more than 25 years, Seyfarth Shaw’s Government Contracts Practice Group attorneys have helped domestic and international firms obtain, retain, and manage contracts with U.S. federal, state, and local governments. We assist clients on the entire spectrum of government contracting issues at every stage of the procurement process from proposal preparation and bid protests through contract claim resolution. We understand the complexities of the current business and regulatory environments and we advise clients on how to achieve their goals while remaining in compliance with government rules. Our practice group authored the widely acclaimed Government Contract Compliance Handbook, published by Thomson-West. For many years we have also provided compliance training programs to clients and to the public. We offer comprehensive advice and assistance to businesses seeking to compete and operate successfully in the public contract marketplace in a wide array of industries. We have extensive experience assisting defense contractors, office and information technology manufacturers and service providers, high-technology firms, health care providers, resellers, and small business contractors. Our practice group has been at the forefront of public contract law for decades, with seven of our senior attorneys tallying nearly 180 combined years of experience in this field. We understand the government contracting process from all perspectives and have built relationships with our clients that have endured for many years. 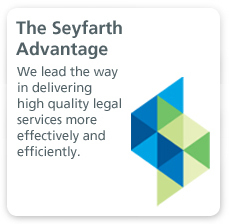 Before joining Seyfarth, some of our Government Contracts Practice Group attorneys were in-house counsel for major defense contractors, or were prosecutors or government contracts litigators at various federal agencies. One of our attorneys was formerly with the Department of Justice where he successfully defended the government in numerous bid protests before the U.S. Court of Federal Claims. Some of our attorneys have worked in finance, program management, and contract administration positions for government contractors. Diverse backgrounds such as these enable us to find creative and practical solutions for clients’ government contract problems. We are a national government contracts practice, with attorneys in Washington, D.C., and in Los Angeles, San Francisco, and Sacramento, California. 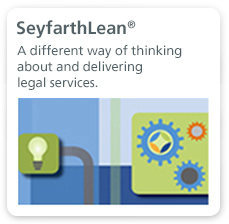 Our group often works in tandem with Seyfarth attorneys in other practice groups, including members of the business services and labor and employment groups, to address transactional matters and socio-economic program compliance issues.